... this Before I Go. ... this piece on Disney & grief. ... this piece on Authorpreneurship. ... this exercise in presence. ... this perfume I've been wearing since high school. ... this soul-affirming exercise class. ... this book you should all pre-order. ... this woman who is teaching me SO much. ... this maybe you don't need fixing. ... these thoughts on should. ... this Cost of Paying Attention. ... the above & below photos from Big Girl's Second Grade City Blocks project. 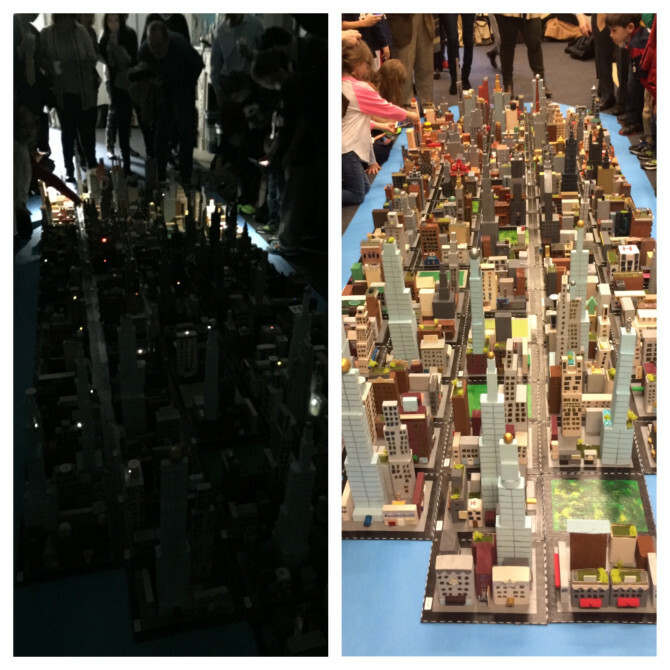 Each student in the grade made his/her own city block and they combined them into the most incredible cityscape. We parents walked into the dark room with our kiddos and the city was lit and it literally took my breath away. Big Girl's block is delightful and detailed; it boasts a townhouse, a school, a toy store, a clothing store, a hospital and more. have a great weekend guys! I will be away on spring break with the fam next week, but will see you back here on 3/23!